The pressure is on Australian Jason Crump as the 2009 World Speedway Grand Prix Championship Series reaches its final stages. 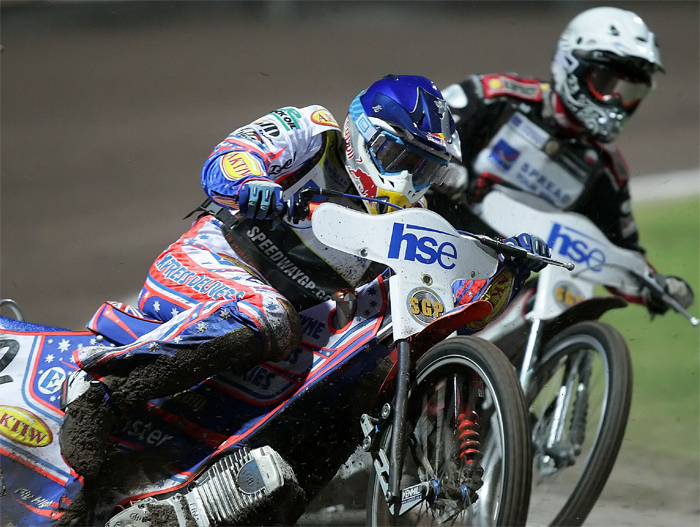 Russian teen Emil Sayfutdinov swept to his third GP win of the season with a perfect seven wins out of seven rounds at the FIM Slovenian Speedway Grand Prix in Krsko. Sayfutdinov reduced Crump’s 36 point gap down to 26 points with only two rounds remaining. Crump lost out to Rune Holta and Nicki Pederson as they battled past the Australian in a three way scrap. 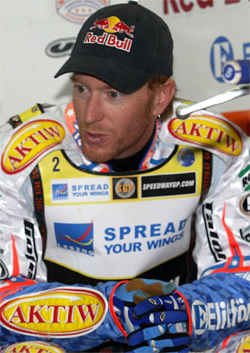 The two-time world champion scored 11 points from his five heats at the Matije Gubca Stadium, but the points leader was eliminated at the semi-final stage after finishing in third place. 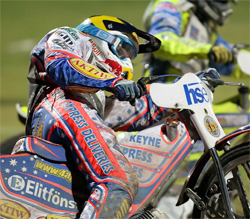 Round ten of the 2009 Speedway Grand Prix World Championship will take place at Olympia Stadium in Terenzano, Italy on Saturday September 26.